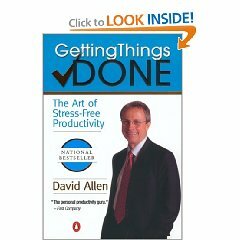 I am reading Getting Things Done: The Art of Stress-Free Productivity by David Allen, and I want to share the book with you! Register for a chance to receive a new copy of David Allen’s book. Register now for the giveaway! The winner will be chosen on September 30, 2009.